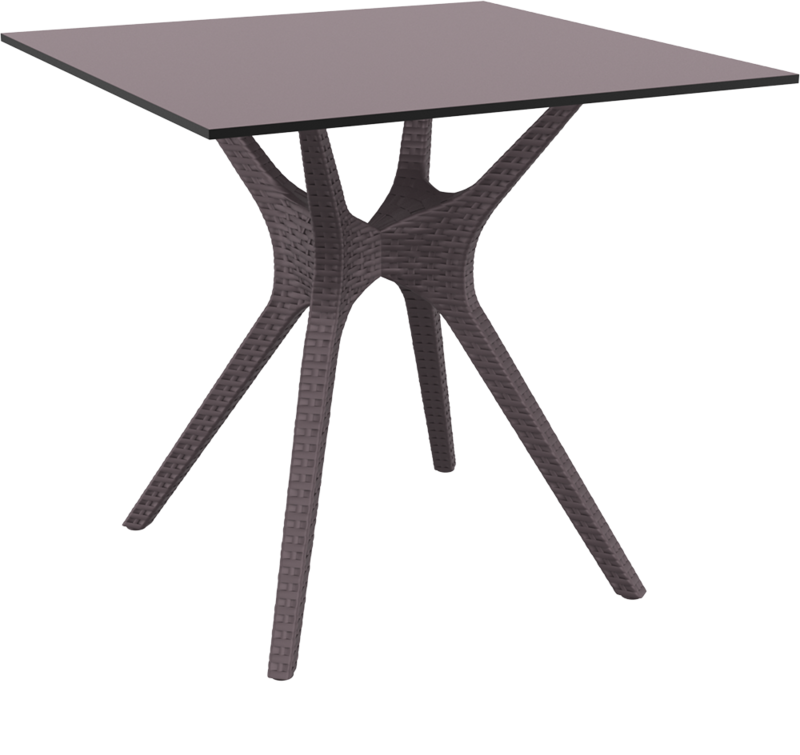 Ibiza Table 80 with rattan leg with HPL compact laminated tops 12 mm available in dark grey, brown and white colors. For indoor and outdoor use. Can be disassembled. *Dark colors not recommended in direct sunlight.